Categories: Top 100, Top Tens | Tags: Dodie Smith, J K Rowling, Malorie Blackman, Mark Haddon, Patrick Ness, Philip Pullman, Robert Muchamore, Sarah Alderson, Siobhan Dowd, Sue Townsend | Permalink. Harry Potter and the Philosopher’s Stone was J.K. Rowling’s first novel, followed by Harry Potter and the Chamber of Secrets, Harry Potter and the Prisoner of Azkaban, Harry Potter and the Goblet of Fire, Harry Potter and the Order of the Phoenix, Harry Potter and the Half-Blood Prince and Harry Potter and the Deathly Hallows, as well as three books written for charity and inspired by the Harry Potter novels: Fantastic Beasts and Where to Find Them, Quidditch Through the Ages and The Tales of Beedle the Bard. The Harry Potter novels have now sold over 400 million copies worldwide and been translated into 68 languages. The series is No. 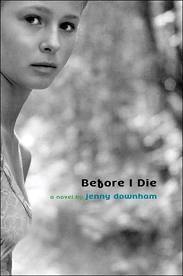 1 on our Top 10 Best-Ever UKYA Novels list. 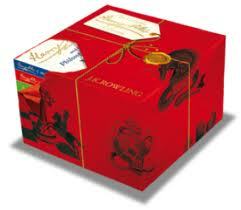 Categories: Awards, England, Fantasy, Magical Realism | Tags: J K Rowling | Permalink. Raimy of Readaraptor shares her Top 10 UKYA reads. When Keris asked me to write this post I thought “Of course I’ll do that, that won’t be hard at all.” Oh how wrong was I?! I am now sat here at the computer thinking, “how can I narrow this down to ten? !” and they say that UKYA isn’t as big as USYA! HA! 1. First up I have to put the queen of UKYA from when I was a little sprog myself – Louise Rennison and her Georgia Nicholson series. I think this is a pretty much timeless series, it would apply to kids of that age now just as much as it did back then. 2. I’m sorry for including the book that EVERYONE picks but the Harry Potter series are the books that got me into reading. All I had read before Harry Potter was the Animal Ark series, Jacqueline Wilson’s entire catalogue (up to that point) and good ol’ Georgia Nicholson. Harry Potter made me realise there were different genres and not everything was the same as my boring old life! It changed my perspective on the world and brought me closer to my sister. 3. Malorie Blackman’s Noughts and Crosses series came to me when I was around 15. This is UKYA at its most amazing, I believe. It was my favourite dystopian read before I knew what dystopia was. 4. 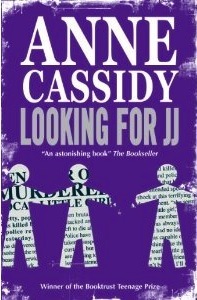 Looking for JJ by Anne Cassidy has to be one of the most amazing thrillers I have ever read and it has stuck with me for years now. I even squandered valuable food (and booze) money to go see a stage version of this book in my first year of Uni. Unfortunately I have yet to go back and find more Anne Cassidy books but I think that’s because I thought this one was SO good I’m scared the others won’t live up to it! 5. The Opposite of Chocolate by Julie Bertagna is another one from my 15-year-old days (I read some amazing UKYA books in my teens!) that I could not put down. This book is so atmospheric that you can’t help but feel like you are inside Sapphire’s world. 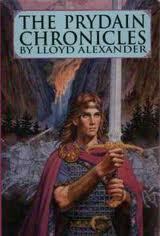 I think I even wrote fan fiction for this book a long, long time ago! 6. Where do I go now!? I think I’ll have to go for yet another book I read back in the day… This author is amazing and is still very prominent in todays UKYA circles with her new book Adorkable due for release this year. Pretty Things by Sarra Manning was an amazing read for me because at around the time I was busy trying to work myself out. I think this was the first book I read with an LGBT character in it and I loved that there were people as confused as I was out there! 7. Sticking with LGBT this next book is on this list partly for an AMAZING book but also because of the way LGBT is handled in it. Hollow Pike by James Dawson came out this year and ever since I read it, it has been stuck in my head. I adored the book in itself and then when the LGBT element came around I was so enamoured by it that this book went to my favourite book of the year. This was James’ debut novel which is shocking because I don’t know how he’s going to top it! 9. Its time for a bit of fantasy. Shadows on the Moon by Zoe Marriott is a beautiful oriental story that’s based loosely on Cinderella. Zoe is an incredible young writer from the UK and all her books are just as beautiful as each other, but this one has to be my favourite. 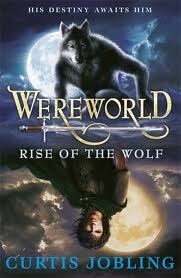 I never thought I’d enjoy this type of fantasy but as soon as I started reading I could not put it down. 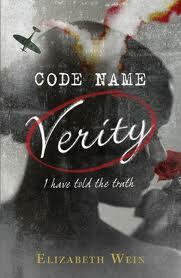 I have raved about this to everyone and am eagerly awaiting Zoe’s next book. 10. Naked by Kevin Brooks gets the last spot on this list. Naked is a unique story about London in the 70s during the rise of the Punk movement. It was amazing and I have other books of his just sat on my shelf that I can’t wait to read because I loved this one so much. Categories: Top Tens | Tags: Anne Cassidy, J K Rowling, James Dawson, Julie Bertagna, Kevin Brooks, Louise Rennison, Malorie Blackman, Melvin Burgess, Sarra Manning, Zoe Marriott | Permalink.